Foxconn Technology Group, the maker of Apple’s iPhone, is investing at least 5 billion yuan (US$811 million) to develop electric car manufacturing in a Chinese province. The Taiwanese company is making the investment in China’s Shanxi province, it said on Wednesday. Foxconn already has two factories in the province. One of these assembles smartphones while the other is devoted to producing robots and automation equipment, it added. Foxconn has largely focused on electronics manufacturing for clients including Microsoft, Sony and Amazon.com. But the company is branching out into new business sectors, as a way to grow its revenue streams. Analysts estimate that it makes as much as half of its revenue from assembling Apple products. In June, Foxconn’s CEO Terry Gou said that the company is targeting to build electric cars with a price of less than $15,000. Foxconn has already been developing electric car batteries for some time, and the company has many customers for them, he added. It also manufactures the touchscreen panels found inside the electric cars from Tesla Motors. Foxconn Technology Group and BAIC Motor Corporation recently agreed to jointly establish a company that provides electric vehicle rental services, set to become operational in September. BAIC launched the E150 EV in China earlier this year. 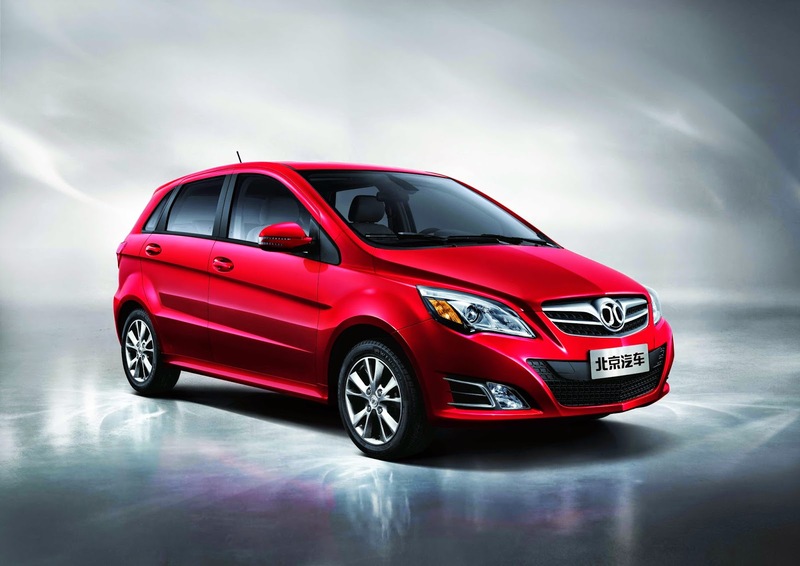 The BAIC E150 EV is powered by an 60 hp and 144nm electric motor powered by a 25.6kwh lithium-ion battery. Top speed is 125km/h, range is 150km. Price range from $20.300 to 22.000. China is mandating that electric cars make up at least 30 percent of government vehicle purchases by 2016, the latest measure to fight pollution and cut energy use after previously exempting EVs from a purchase tax.